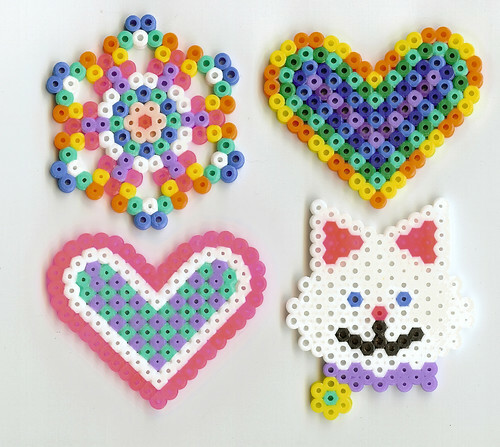 mommy bytes: Perler Beads - Fun with an Iron! Perler Beads - Fun with an Iron! The one new craft that I learned about from the kids’ preschool and actually got for home is Perler Beads . 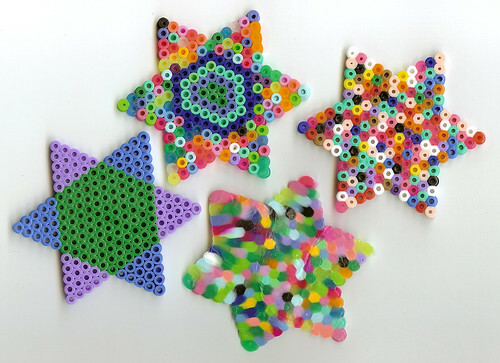 They are beads that you can lay out on a peg board and then iron over to fuse them together. 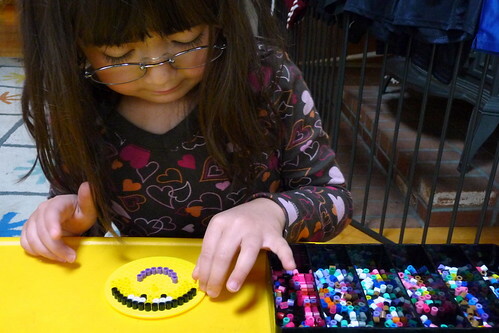 The kids love to practice their fine motor control to create shapes and patterns (as does mom). Here’s a batch of Adam’s stars from when he was in preschool to the present. The one on the bottom was completely melted together by his teacher, but I love how the colors run together. 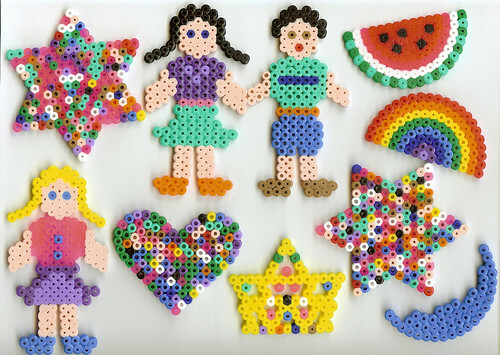 The kits usually come with pegboards of different shapes. We made Adam and Dova as well as Dova’s BFF. And here are my creations. These beads are way too much fun for kids alone. Very cute. Will definitely look for those next time we do a craft project. I loved doing those when I was a kid! I remember doing this too! And your daughter is way to cute!! Cute! We love doing these, too. I loved these as a child and now my kids love them. They'll sit for hours working on these, which reminds me I need to get some more. She's a cutie!